HP Windows Mixed Reality Headset Professional Edition announced. At SOLIDWORKS World, HP today announced the HP Windows Mixed Reality Headset - Professional Edition. 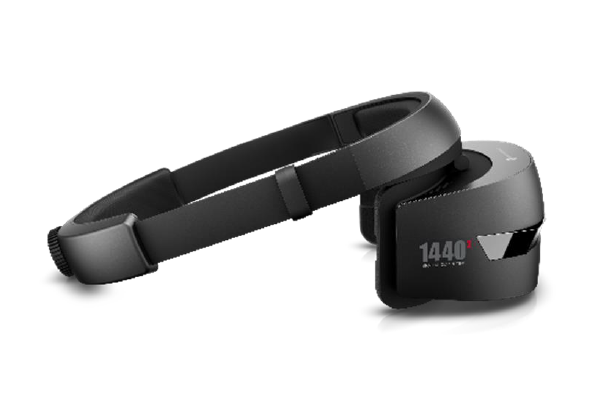 This VR headset delivers a stunning immersive experience due to 1440x1440 resolution per eye and up to a 90Hz refresh rate. Users will enjoy the six degrees of freedom, no tracking boundaries and the included wireless motion controllers. For businesses, this headset is the perfect combination of comfort and convenience as it comes with easy to clean, replaceable face cushions. It also uses a double-padded headband, easy adjustment knob and front-hinged display for a superb experience for one or more users. HP Windows Mixed Reality Headset - Professional Edition offers stunning immersive computing with significant ease of setup and use in a cost effective solution. This solution is well suited for Engineering Product Dev and design reviews, AEC (Architecture, Engineering & Construction) reviews, and MRO (Maintenance, Repair and Overhaul) training use environments. comfort fit front and rear cushions. Flip up visor design. Replaceable face cushions. HP Windows Mixed Reality Headset - Professional Edition is scheduled for availability in March for $449.